Tulum attracts jet-setters from all over the globe. Any place that has crystal clear waters and guaranteed sunshine is bound to be popular. So as requested following on from our adventure of Joyriding in Tulum, here’s the next instalment of our Tulum tales. 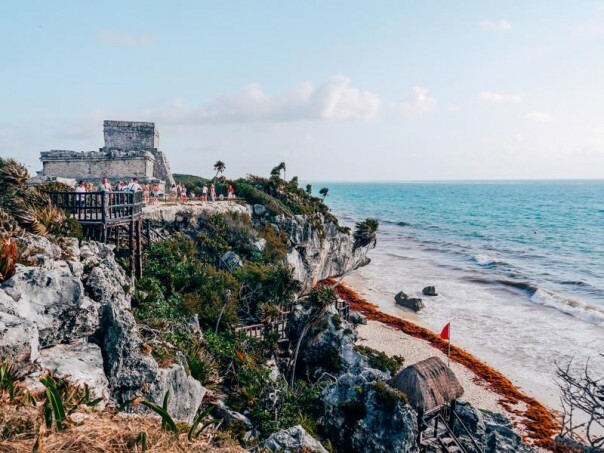 Tulum is also home to the historical Mayan ruins which is built on a coast. Just picture it – architectural ruins with a backdrop of turquoise waters and swaying palm trees. How can you not want to visit?